Online ordering is for shipping to a family’s home. It does not include the display easel that we use to set up at a funeral home. The price is for the blanket only. 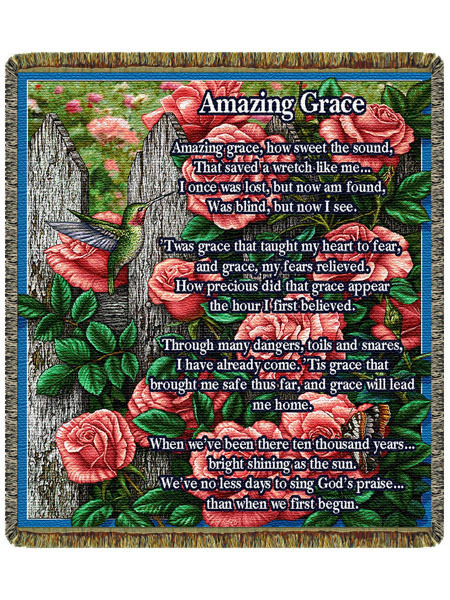 Beautiful woven “Amazing Grace.” 70X60, made in USA. 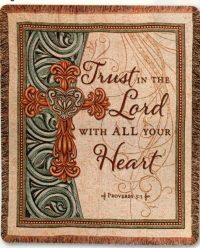 Please let us know in the check out section where it says, “Notes To Shirley’s” how you would like your card to read so the recipient knows who it is from. For Instance, In memory of Janet, She will be missed. Love , The Jones Family.